Gem Precision Beauty can be found in a crisp bright salon centrally located on Rose Street in the heart of Edinburgh. Gemma is a beautician and cosmetic tattoo artist specialising in brows and lashes. Gemma has been in the beauty industry for over ten years and is fully licenced and insured. 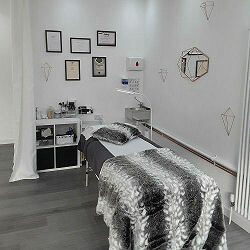 Gemma specialises in microblading, a semi-permanent makeup technique that can correct or fully reconstruct eyebrows. For more information see below. She also undertakes a range of work on lashes, whether classic lashes, volume lashes or hybrid lashes. Again, there is more information given below. Microblading is a semi-permanent makeup technique that can correct or fully reconstruct eyebrows. Pigment is implanted beneath the skin surface by means of a small, sterile, disposable needle to produce the appearance of fuller eyebrows or to enhance the natural features of the face. Microblading is considered semi permanent, as it will need to be refreshed every 12 to 18 months to prevent fading. Without refreshing, the pigment will fade over time and typically last between one and three years, depending on skin type, metabolic rate, pigment, sun exposure and other factors. A consultation and patch test is necessary before a microblading procedure can be scheduled. For one month prior; discontinue any retinol or vitamin A products; no Botox. For two weeks prior; no tanning, no facial peels or exfoliation or electrolysis. For one week prior; no fish oil or vitamin E (natural blood thinners). Do not drink alcohol for 24-48 hours before. Do not consume coffee for at least 5 hours before appointment. Do not take asprin or other blood thinners for pain relief. No working out on the day of the procedure. Gemma will fully detail your aftercare during your appointment and provide you with the products to heal your brows successfully. The aftercare includes washing the brows and applying a thin layer of healing ointment/oil in order to keep the brows nourished. You must avoid facials and microdermabrasion for four weeks after treatment. Avoid hot, sweaty exercise for one week, as sweat contains salt, this is how we remove permanent makeup! Avoid direct sun exposure or tanning for four weeks after treatment. Classic Lashes: a one synthetic lash per one natural lash technique to give some extra length and volume and curl. Volume Lashes: handmade fans of 3 to 6 lightweight lashes per one natural lash, a technique for dramatic volume, curl and length. Hybrid Lashes: a mixture of both classic and volume techniques. This is the most popular as it gives a good balance of volume, curl and length without being too dramatic. All Lash extensions can be styled and customised to make the lashes look perfect for you. 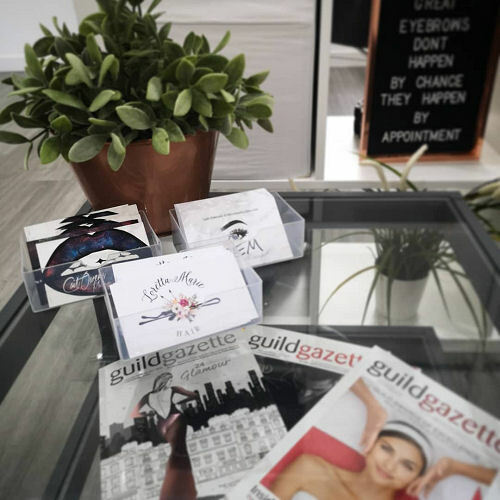 Microblading patch test and consultation – free. Microblading – £250 including top up 4–6 weeks after initial session. Microblading + manual shading – £300 including top up 4-6 weeks after initial session. Ombre powder brows - £350. Microblading colour refresh after 12-18 months – £150. Additional top up: up to 4 months after microblading - £75. Classic lash extensions – £50. Classic lash infill – £25. Hybrid lash extensions – £65. Hybrid lash infill – £35. Volume lash extensions – £85. Volume lash infill – £45. Lash lift and tint - £45. Brow thread and tint - £18. Henna brows and thread/wax - £25. Lip or chin - £6. Full face including eyebrows – £20. Microblading appointments require a £50 booking fee to secure the appointment. The remainder is payable on the day of the appointment. Last minute reschedule (less than 48 hour notice) of either the initial session, or subsequent top ups will require a a further £50 fee to book in again and last minute cancellations (less than 48 hour notice) will forfeit the booking fee. 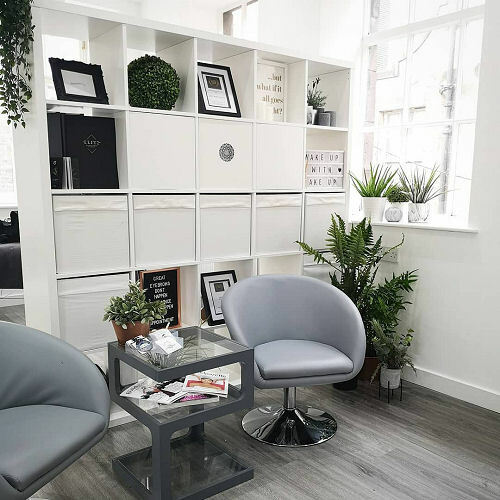 Gem Precision Beauty is part of a collective of hair, beauty and aesthetic specialists under one very large roof at 87 Rose Street North Lane: Gem Precision Beauty on Level 2 and Loretta Marie Hair and Cait Owens Beauty, both on Level 1. These lady bosses are committed to providing the highest standards of customer care, experience and treatments to their clients in a new generation of Edinburgh salons. 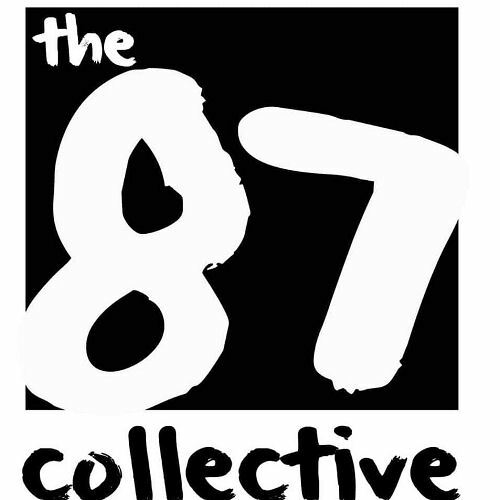 Whether you’re booked in for microblading, lash extensions or brow advice with Gemma, a cut or colour transformation with Loretta or make-up, manicures or event styling with Cait, the 87 Collective offers treatments tailored to each individual client. Gem Precision Beauty can be found in a crisp bright salon centrally located on Rose Street in the heart of Edinburgh. Gemma has been in the beauty industry for over 10 years and is a brow and lash specialist.